Shiva Shanti cannabis was Sensi Seeds’ first strain that was specifically aimed to be accessible to the mass market in the early 90s. 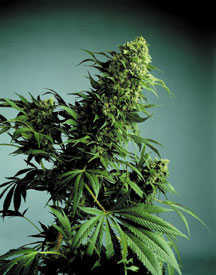 She was the result of a cross between Garlic Bud which is an old school Afghani strain, and a heritage Kush variety. 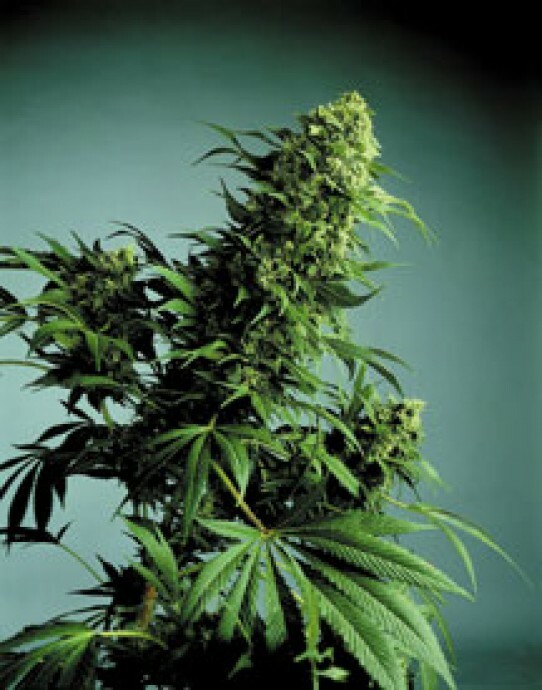 Shiva Shanti cannabis seed will produce a strong and vibrant plant. Her good breeding and fine genetics make her a stable strain and results are uniform and dependable. This makes her ideal for SoG set ups. A fairly quick flowering phase of around 50 – 55 days makes her suitable for a quick turnaround too. Buds on Shiva Shanti are long, fat and spear shaped. Yields are heavy and can be improved upon by using both topping and Low Stress Training methods. Shiva Shanti weed produces little odor during her growth, which is good if you have stealth concerns. When smoked however she releases a deep and rich aroma. The Garlic Bud ancestry is evident with a sharp acid/sour taste, but it is nicely tempered by a rich sweetness which makes for a very pleasant smoke. Why buy Shiva Shanti Weed Seeds?